A big thank you to all Developers, Designers, UX Experts, Game Designers, Entrepreneurs, Wildlife Enthusiasts and Wildlife Conservation experts who made the first Hackathon for Wildlife a roaring success! On November 14th and 15th over 60 people came together to explore and develop innovative ways to engage worldwide audiences with wild animals. The hackathon teams created amazing concepts through a combination of technologies that include GPS hardware, data, games, and social media to create a stronger, more vested connection between people and animals. And support is weak. Conservation organizations struggle to find sustainable mechanisms to fund their work. Standard awareness campaigns don't let the public stay involved long enough to make a difference. Yet reaction to events like Cecil the Lion's death prove that people are sympathetic to animals and their cause. #CecilTheLion alone generated 2 billion impressions on Twitter. And technology continues to enable change. Google just release Street View to view animals in Samburu National Park in Kenya. Gaming for good has become an entire sector within a thriving gaming industry. People continue to find new ways to connect to each other using social media. The advance of the Internet of Things is ready to explode. Visualizing big data has become a form of art. How can we exploit these trends to connect a worldwide audience with individual wild animals? How can we have a massive and unprecedented impact on how people engage with wildlife and the consequent funding of conservation efforts? We want to see the best ideas see the light of day and make the difference to wildlife conservation that they were intended for. To encourage this, all ideas and prototypes that are presented at the event are considered 'open source' in that they are not the intellectual property of Internet of Elephants, Solstice Mobile, nor the teams or individuals that presented them. Anyone that has the capacity to carry the ideas forward is welcome and encouraged to form partnerships and make them happen. Internet of Elephants and Solstice Mobile are happy to help this happen if we can. Why hold a hackathon for wildlife? Wild animals are dying at alarming rates. By some estimates, we've lost over 50% of all species on earth in the last 40 years alone. Habitat loss, poaching, overpopulation, and climate change all contribute to this loss. These are vast and complex problems and while traditional approaches to solving them have shown some success, it isn't enough. By bringing together a diverse group of people, we can often find innovative solutions that would not otherwise have been thought of under normal circumstances. We also get a community involved in solving problems that are important to them and raise publicity and awareness to the cause. While each team will have the opportunity to pitch their idea and solution to a jury and there will be prizes for the winning teams, the point isn't to win. Any good idea has the potential to move forward with the right people backing it. The jury and prizes are just for an added level of fun and incentives. Cash and other prizes will be offered to multiple winning teams. But the real prize is if we come up with ways to better celebrate wildlife. 'Hacking' is creative problem solving and it does not have to be about technology, although this one is. 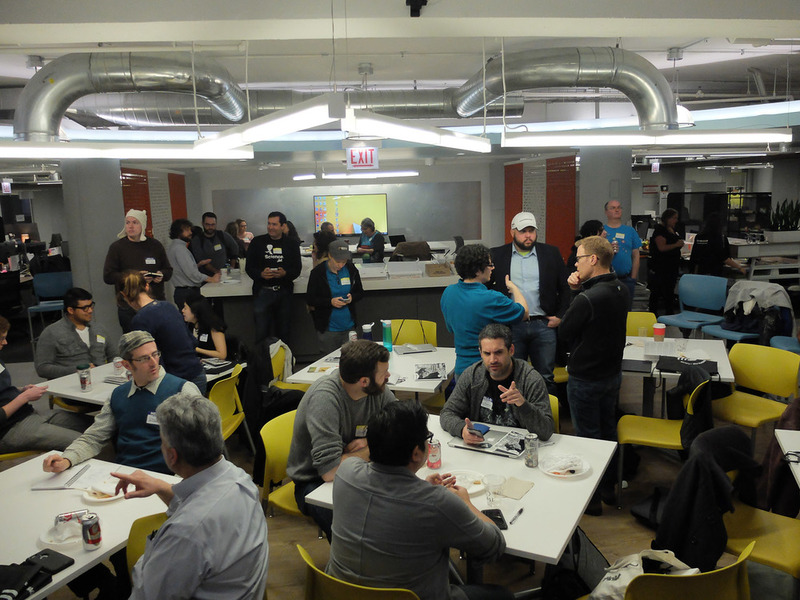 A 'hackathon' is an event of any duration where people from diverse backgrounds come together to solve problems. Participants usually form groups of 2 to 5 team members and dive into problems. Events are intended to be productive, but also a lot of fun with a lot of positive energy in solving real world problems. The hackathon will start at approximately 9AM on Saturday, November 14th and run until 5PM on Sunday, November 15th. The entire event will be held at the Solstice Mobile offices at 111 North Canal in Chicago, IL. Who participates? Is it only for techies? 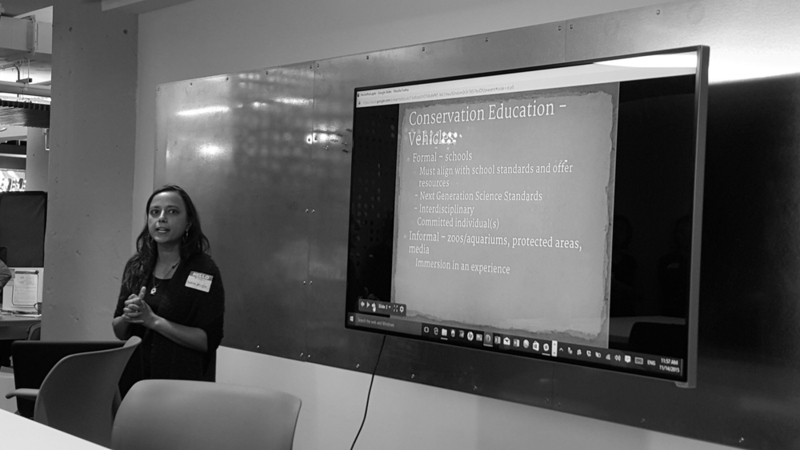 Participants are typically technology developers, designers, user interface experts, and subject matter experts, in this case people with a background in wildlife conservation or even just wildlife enthusiasts. Just your time and positive energy. We take care of the rest including food and drinks and even prizes along the way.